Win #100k, #50k and 20k this Xmas by downloading Jehovah by King Samba @iamkingsamba. Download Jehovah song by King Samba & watch the animation video for better understanding. Act or dance with your own creativity in a short video. 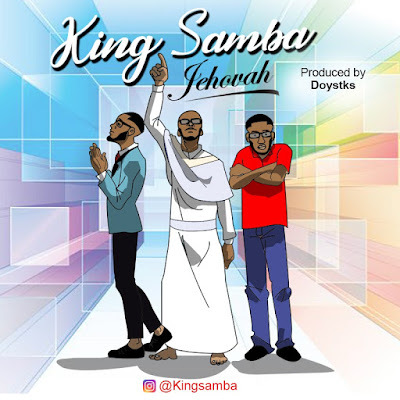 Upload the video on your instagram page, follow and tag @iamkingsamba using the hash tag #jehovahbykingsamba and get your friends to view and like your video. All the video entries will be reposted by @iamkingsamba. 3 most viewed video will be announced on Dec 24th & the winner gets #100k while 2nd & 3rd will get #50k and #20k respectively. You can also follow him for daily giveaways. Jehovah is available on iTunes, Apple music, Spotify, Tidal, Pandora, Google play, Amazon and so on. Good luck to you & merry Christmas in advance.